Carry this luck charm with you always and you can attract unexpected miracles and overflow with wishes in your life. Miracles are the perfect gift to share with others. 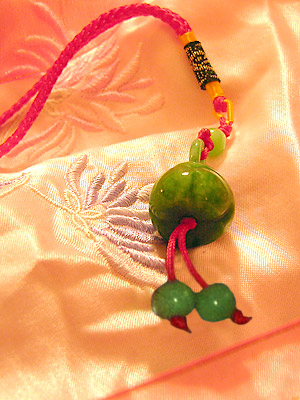 Hand carved jade or jade-quartz lotus flower. The Lotus flower symbolizes miracles.